Hard Surface but Easy Choice: Cleaning and Maintaining your Laminate, Vinyl and Stone Floors like a Professional. Cleaning floors in a commercial setting for customers demands the upmost attention to detail. However, sometimes the size and scale of cleaning a commercial floor makes balancing productivity and attention to detail a challenge. Like many things in life, advances in technology has allowed the cleaning industry to strike a balance between quality and quantity when cleaning floors. The traditional mop in bucket is gone and will be forgotten in the dust bin of history. But why is this important to you? Because by utilizing commercial cleaning methods in your home, you will be able to extend the life of your floors and leave your floors fresh, clean and safe for your family. No more swishing and sloshing around dirty mop water around on your floor. No more stinky mop heads. And most importantly, (for extending the life of your floors and protecting your investment) no more leaving harsh chemicals on your floor which trap dirt and even leave a potentially damaging film behind on the surface of your floors. But fret no more! 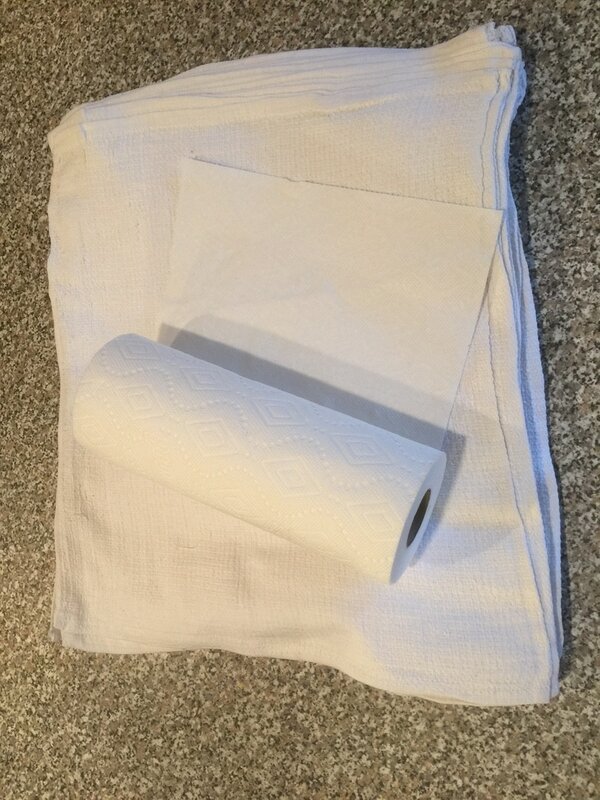 The tips below are tried tested and true by the most experienced of cleaners and without a doubt will leave the floors in your home spotless for many years to come. First and foremost, stop using anything that is not a neutral ph cleaner and rinse free! The Ph level of the cleaning agent indicates if it an alkaline or an acid. A ph of 7 is considered neutral (same ph as water). Clean and Green is a great example or a rinse free neutral cleaner that is safe for all flooring types including natural stone. Ditch the mop and bucket and go with microfiber! 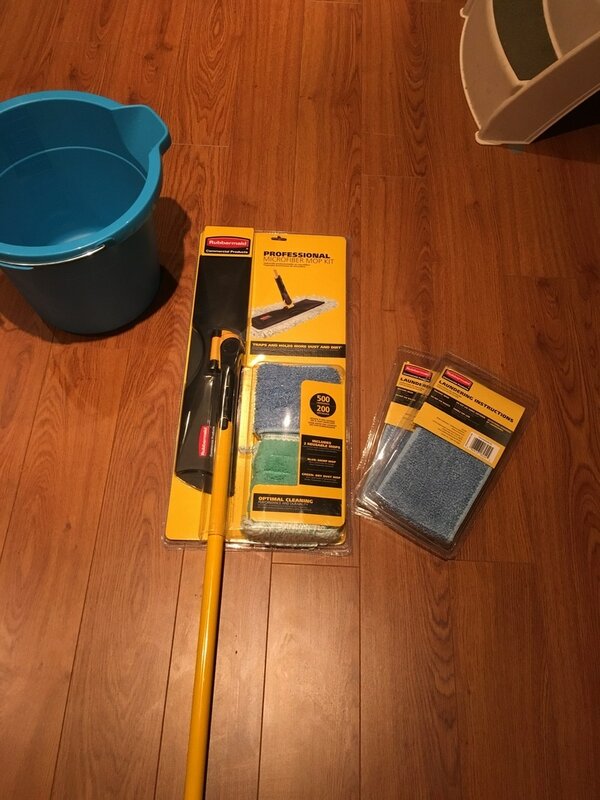 Home depot carries the Rubbermaid Floor Kit.Rubbermaid produces a high quality product that is inexpensive (under $40), durable and most certainly battle tested in a commercial setting. The head which is blue and coarse is for wet cleaning while the head which is green and has loop fringes is used to remove dust and debris prior to wet cleaning. For our home we purchased two mops and 2 spare wet cleaning mop heads. The kit includes to wet mop heads and one dry head. We would recommend against purchasing the version which has a solution bottled attached. The spray shower parts become worn and degrade over time. 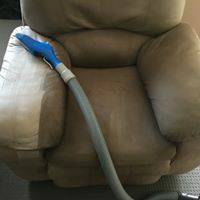 After dust mopping, soak your clean mop heads in the neutral ph rinse free cleaning solution in a bucket a and ring the mop head out and begin cleaning your floor. Monitor the level of soil and debris on your mop head and change when needed. Avoid cross contamination and never put a used mop head back in to your clean bucket with the clean mop heads. Depending on frequency of cleaning and soil levels, each mop head can clean between 50-200 sqft of flooring. Below is just a couple of cleaning stores you can purchase a neutral and rinse free floor cleaner. Don’t be alarmed if they do not carry the same neutral pH cleaner I listed above. More often then not they will carry a similar product made under their own label. 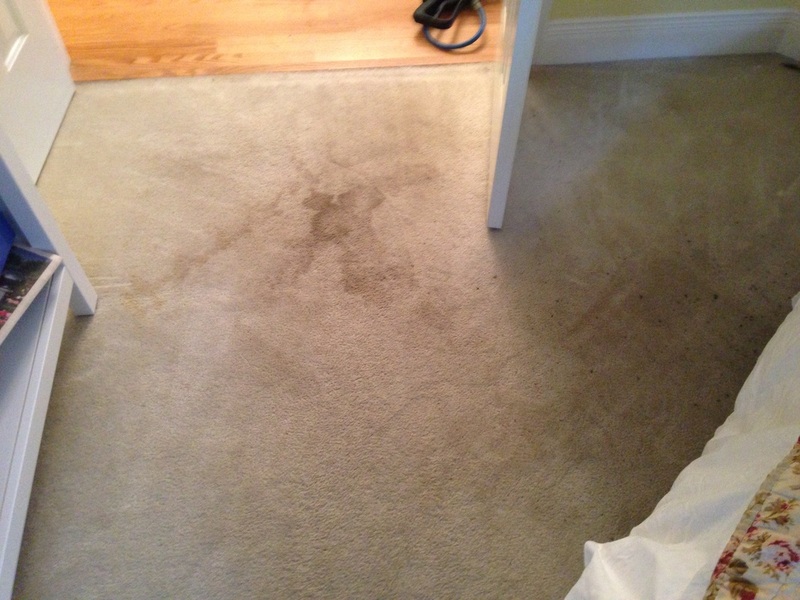 Time can be a carpet cleaners best friend or worst enemy when dealing with stain removal. Last week we received a call from a home owner in Maple Ridge regarding a urine stain on a mattress. 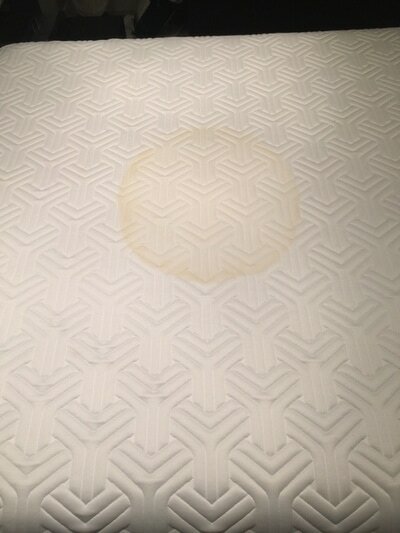 The homeowner was wondering if there was any chance at us removing a urine stain from the mattress. My first question was when did it happen and how old is the mattress? 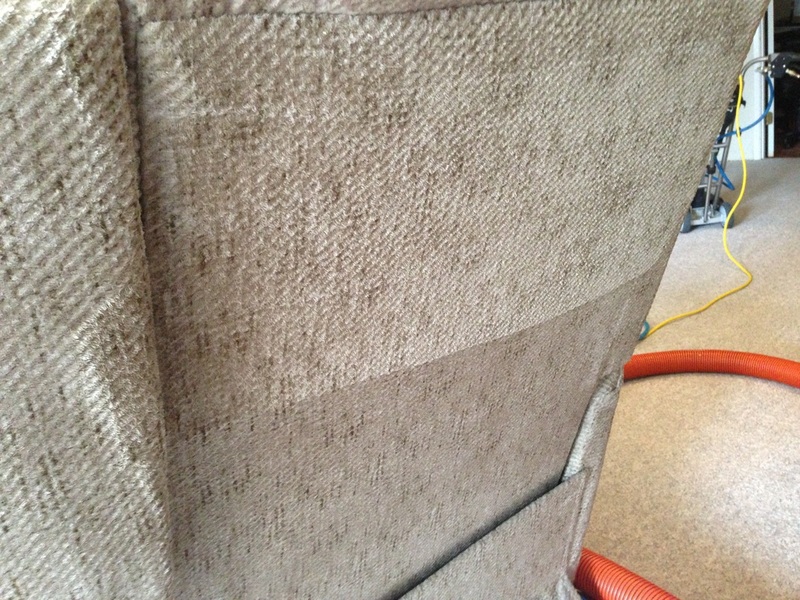 If the stain was over two weeks old I knew that Pacific Mist Carpet Cleaning chances to remove the stain would be limited. 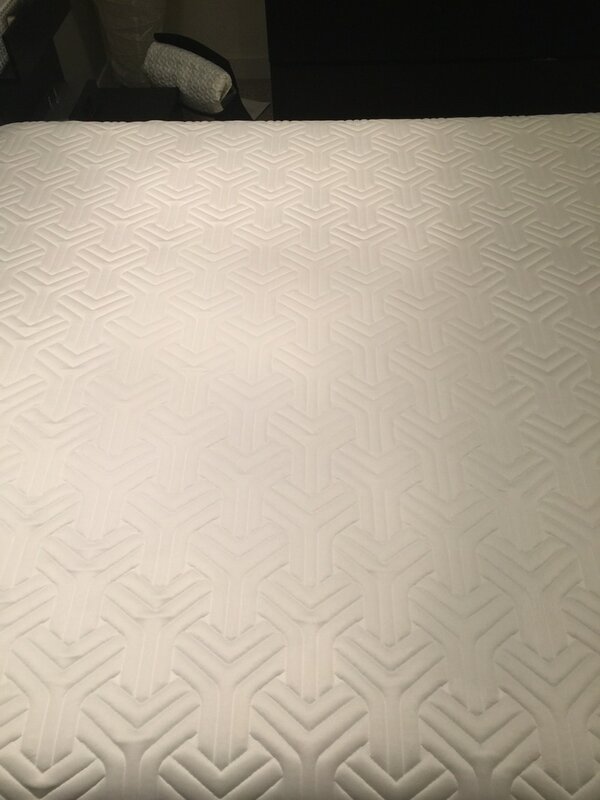 Cleaning a mattress is very challenging since it is essentially a giant foam sponge. The urine seeps into the foam and is difficult to remove. The problem of removing the urine may be compounded if the homeowner has put excessive amounts of water on the mattress while cleaning. However, in this instance this was not the case. 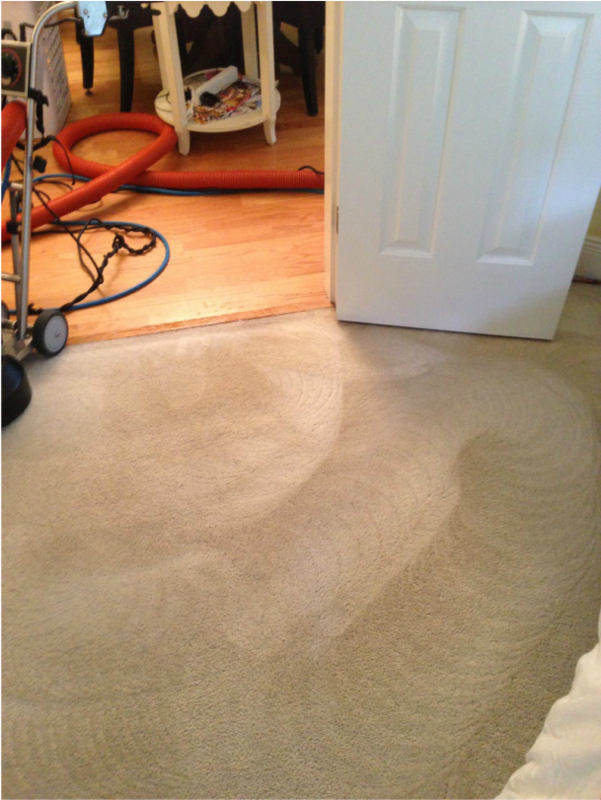 The homeowner called Pacific Mist Carpet Cleaning the day after the accident occurred and had only blotted the surface. My next question to the homeowner was how old was the mattress and what was its value. 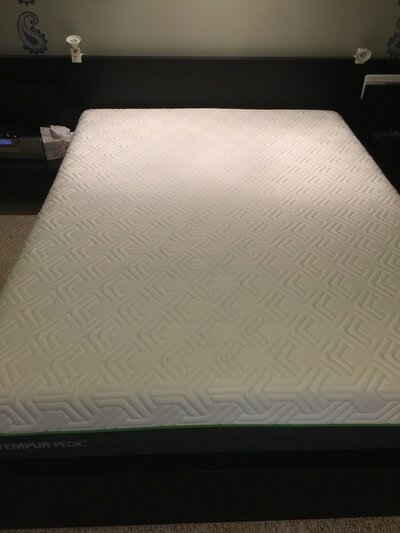 They explained too me that they had just purchased the mattress a week before from Sleep Country in Maple Ridge. The mattress cost them $3500. 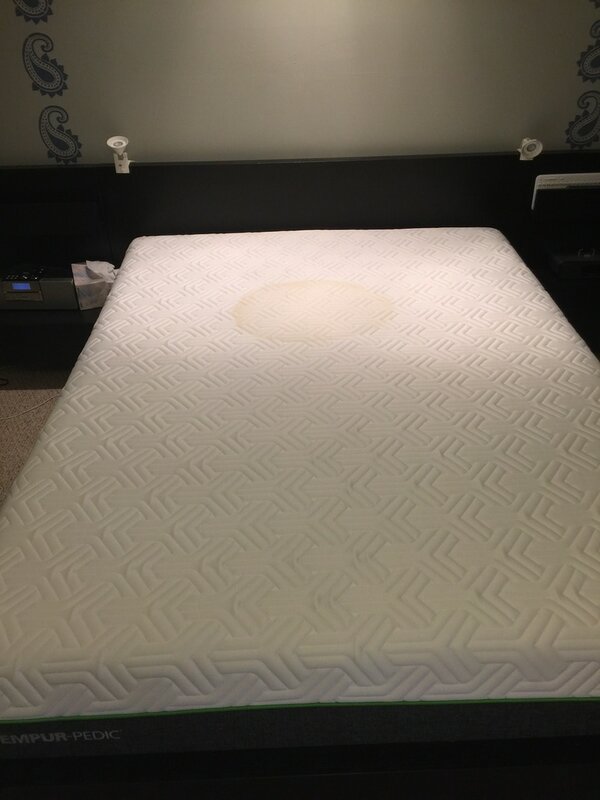 From my experience, higher end mattresses more often then not include a stain protector. 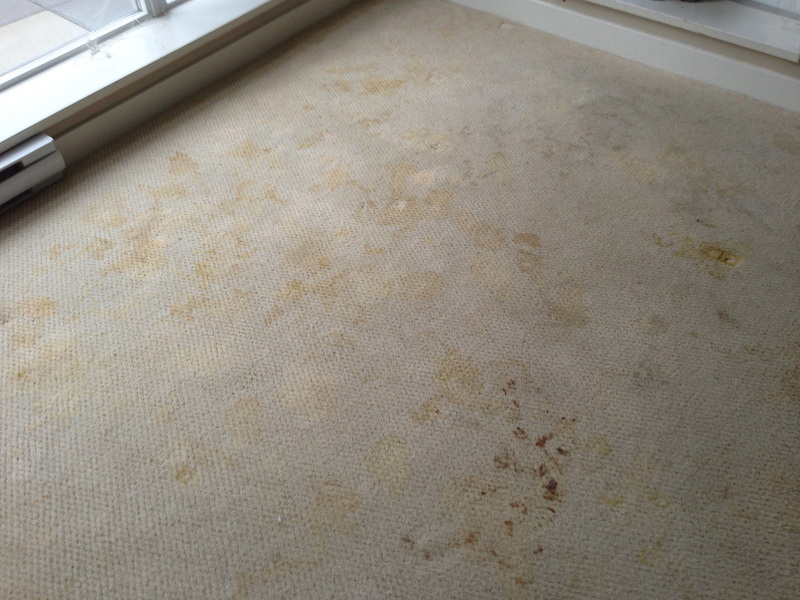 Stain protectors absorb and trap the staining substance and make cleaning a breeze. Moreover, the mattress was almost brand new which meant that the protector would still be in tact. Over time protector wears off. Below are the before and after pictures. 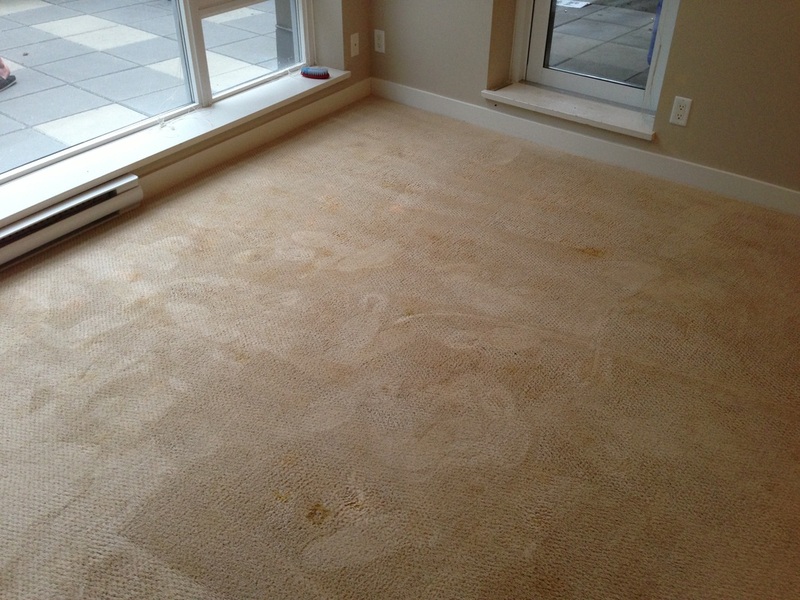 The cleaning went off with out a hitch and our customer from Maple Ridge was extremely happy. 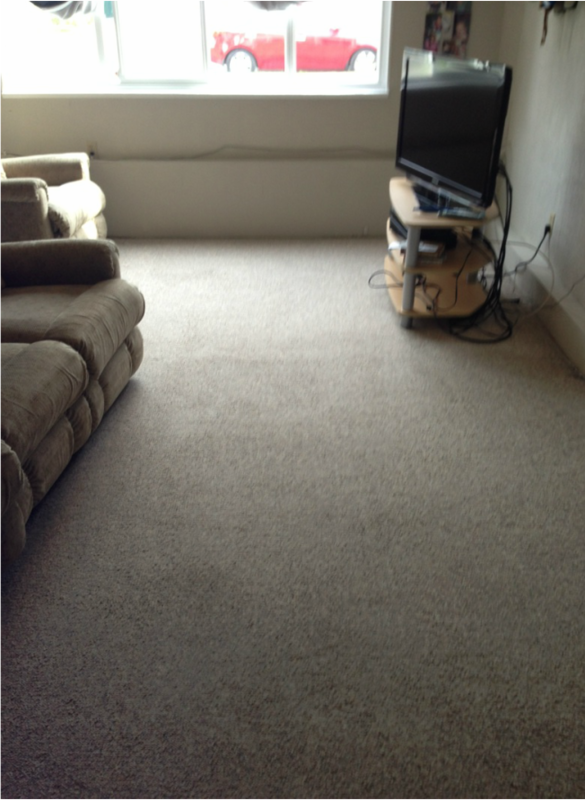 For all of your carpet cleaning, mattress cleaning and specialty cleaning needs please not hesitate to give Pacific Mist Carpet Cleaning a call. What I have written Below is a cautionary tale of how NOT to deal with pet stains if you are a home owner or renter and if you are a landlord be very selective for whom you rent your unit too! Typically around the middle of the month I receive some last minute calls for people moving out on the 15th. Almost always you can hear the urgency in the callers voice. Having the carpets cleaned professionally sometimes is over looked when tenants are looking for a new place to live, packing and moving. More often then not this this will occur the case when roommates are involved. 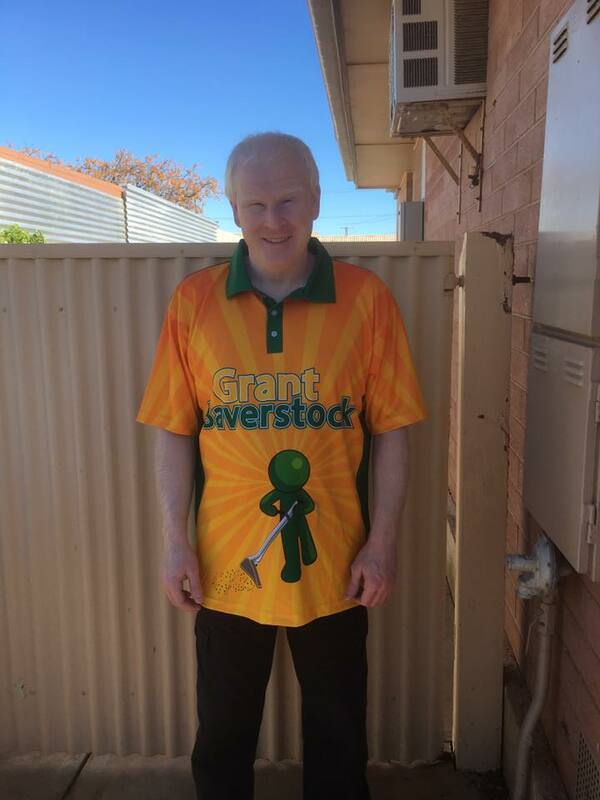 This week I had young man call me in the afternoon to book an appointment. I was just returning from carpet cleaning in Surrey and told him that I could squeeze him in the following day in the late afternoon. This did not work for him since his landlord was coming at noon the following day for a move out inspection. Consequently, he needed the carpets cleaned that evening. Since he only lived 5 minutes away from my house I agreed. I asked him the typical questions: how many areas do you need cleaned, do you have pets, is their an elevator in the building and parking. He wanted 5 areas cleaned and he did have pets and their was and elevator and a underground for parking. He did mention that his pets had some accidents but that it was nothing major. He declined having me perform a pet treatment. From my experience renters rarely invest in additional services. 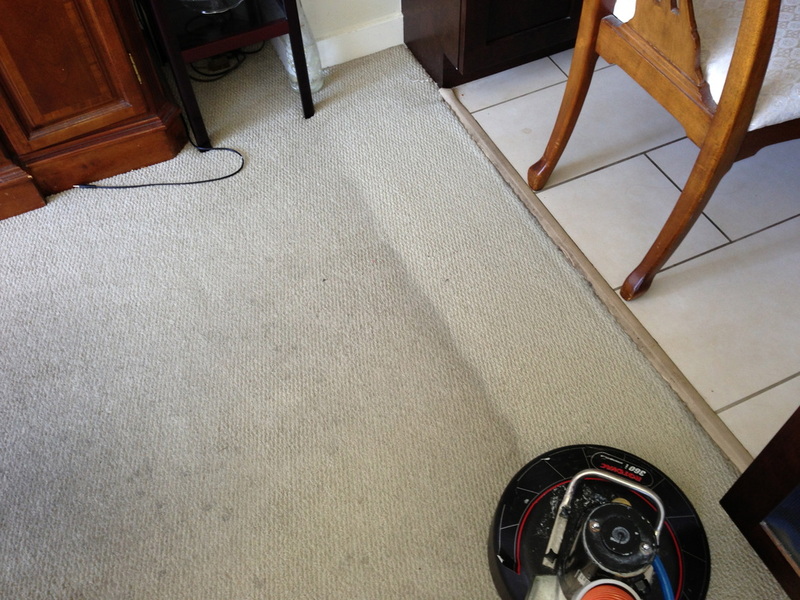 They simply wanted to clean the carpets at the lowest price point to an acceptable level so they can receive their damage deposit back. I arrived to one of Coquitlam's newest luxury condos about an hour after the customer and I first spoke. I knew that his unit was going to be nice since it was a large unit. Not many of the newer apartments buildings have 3 bedrooms. The customer met me in the underground and brought me up to his unit. As soon as he opened the door it hit me: urine. Not a faint smell but a strong deep pungent smell. I walked in and was shocked! From our brief conversation on the phone I could have never expected what awaited me. Above is a small sample of what the apartment looked like in and every room. Urine and dog poop dotted the landscape from wall to wall. He saw the look in my eyes after we were done doing the initial walk through. 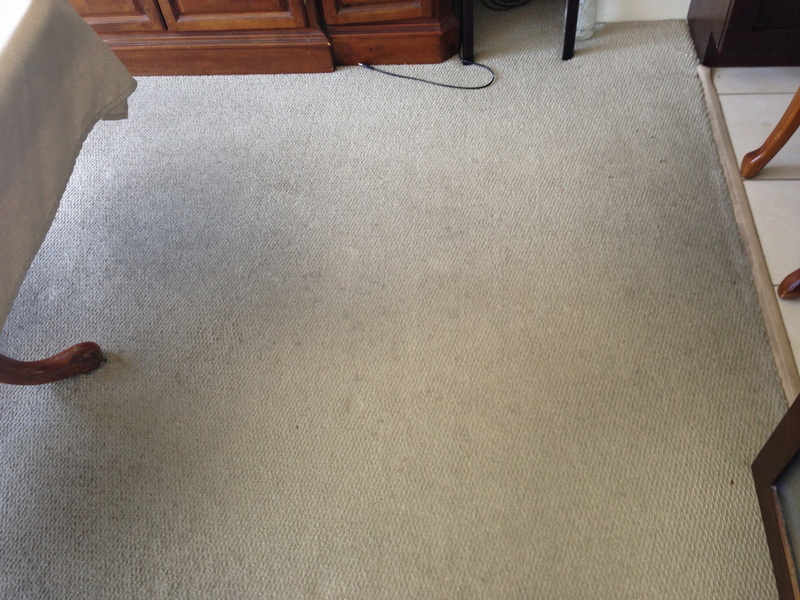 I told him that I could clean his carpets but I could not guarantee that I would remove the stains or the smell and that the price would be significantly higher. He had been in the apartment for two years and his dogs (yes plural he had 3 of them and one just gave birth to 5 puppies). He once again declined additional services and asked me to do my best. Within minutes of me arriving I witnessed the dog urinate twice on the carpet. If he had agreed to additional services we would have given him different options. 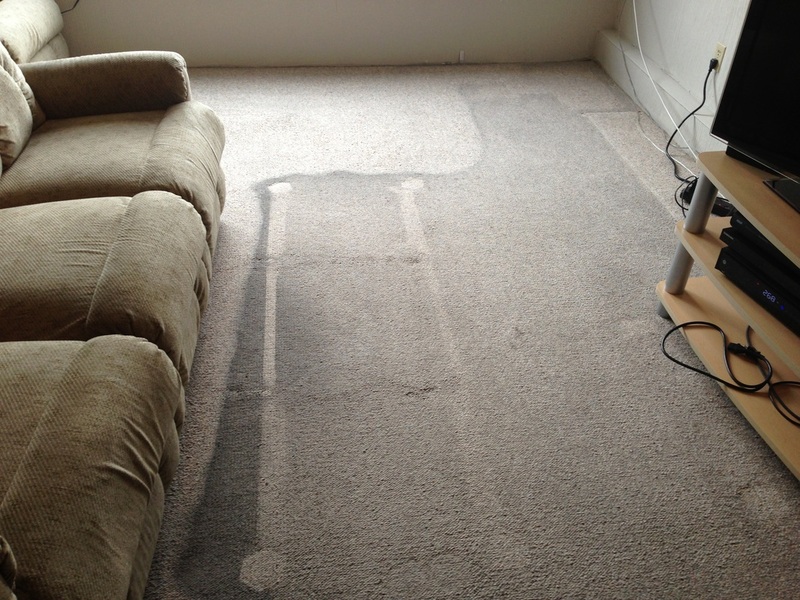 We could do a subsurface extraction on each and every spot or we could pull the carpet and replace the padding underneath and clean and seal the subfloor and then clean the carpets. You can't always get what you want and I had to treat this carpet like a regular carpet because the customer would not pay to have it cleaned the right way. 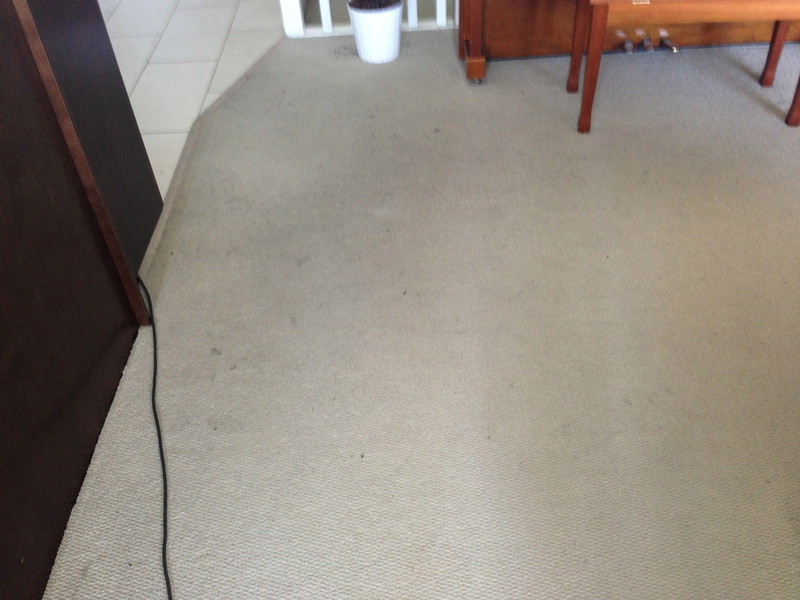 I explained to the customer on numerous occasions that a regular carpet cleaning was going to do very little to remedy his situation. First I vacuumed then pre-sprayed the unit with an acid to neutralize the alkaline urine salts. I let the acid dwell for about twenty minutes. I then pre-sprayed with an enzyme based pre-spray (bio break) mixed with a USR (urine stain remover product). Again I let this dwell for about fifteen minutes. I then extracted with an acid rinse. 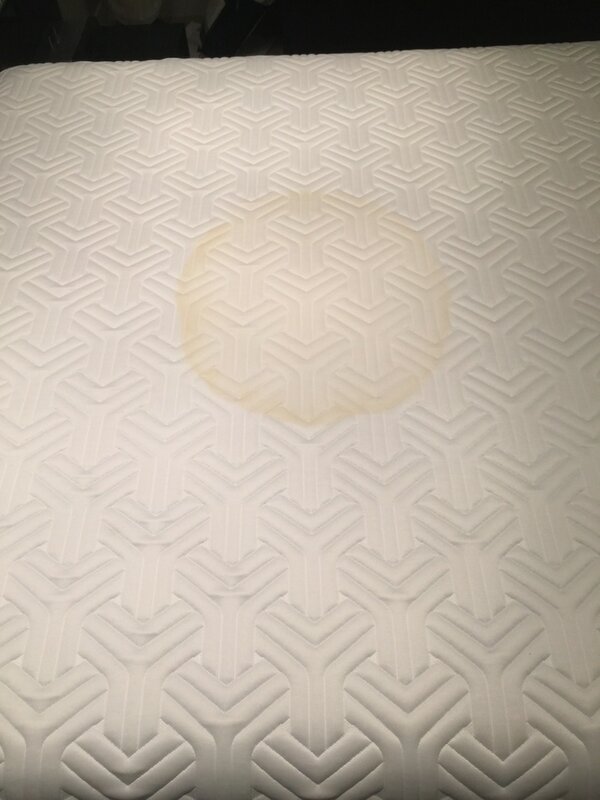 The end result was as expected: the majority of stains remained and some where removed. I asked the customer where he was moving too and what type of accommodations (house townhouse or condo) he was moving to and more importantly what type of flooring was in his new place. He gave me a nervous look and said he was moving to another all carpeted condo. I gave him my opinion that he more than likely was not going to get his damage deposit back. As well, he should consider himself lucky if the condo owners don't sue him in small claims court because his dogs have done thousands of dollars worth of damage to this unit. When I was packing up my gear (portable carpet cleaning machine) the customer asked me how much it costs and where he could get one. I don't usually do this but I suggested that he invest in a small portable spotter cleaning machine. 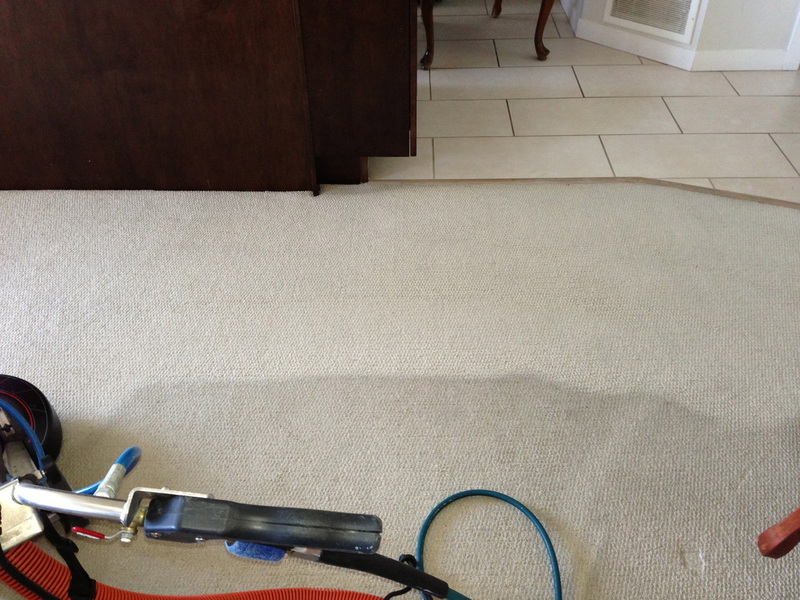 In the carpet cleaning industry us technicians use it for small spots or stains or callbacks. Normally I would never recommend a customer purchase a tool meant for professional carpet cleaners. However, in this instance I thought it was the appropriate since it may reduce the harm to both himself (it can't be healthy living in that environment) and his future landlord (the thousands of dollars in damage done by the dogs have to be paid for by somebody).